I sat on the patio of a local coffee shop one morning writing this post. In the corner a group of moms gathered to visit about kids and life with one another. Inside a couple of other women sat facing one another on a couch, sipping coffee and talking. And I arrived earlier that morning to meet two of my friends for our Friday morning outing. Yes, there were a few there with earbuds in, working on their laptops. But they could have done that at home. So why sit and work at a coffee shop, aside from the great coffee? Let’s face it, we can brew it at home for a lot less. The Trinity exemplifies what it is to live in perfect community—as One, yet with distinct roles. And like God the Father, Son, and Holy Spirit, we are designed us to live in community. 1. Living in community refines us. How can we say we love if we never have to love the hard-to-love person? If we never face forgiving the ones who don’t think they were wrong? What if the Holy Spirit didn’t confront us with our own sinful nature as we interact with our brothers and sisters? And who would challenge us? Even when we gather together as Christians we face these issues. Because we all still have that old sin nature. But we don’t have to act out of it. We have a choice, and as we exercise the love of Christ with one another we become more like Him. We mature. Living in isolation will never grow us as living in community will. 2. Living in community refreshes us. What a gift from our loving Father. To give us one another to cheer, to help, to comfort, and love. We cannot encourage one another in this Christian journey if we don’t make the effort to live in community. 3. 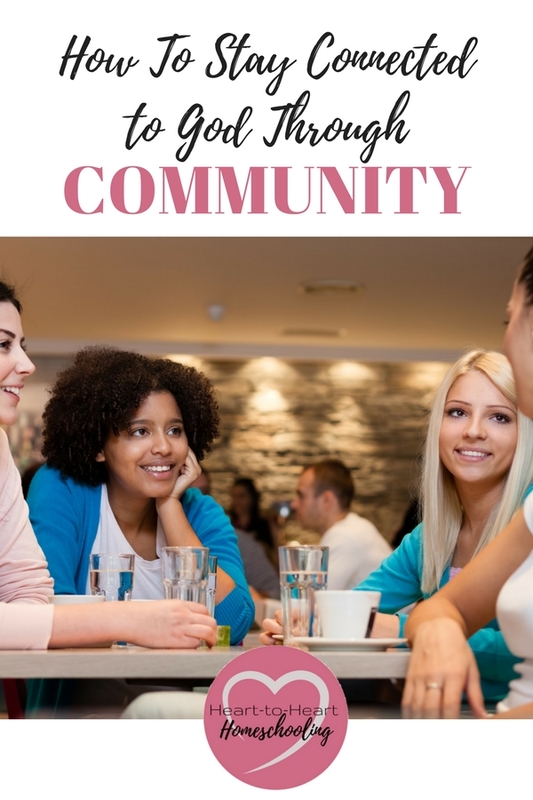 Living in community helps us to know we aren’t alone. It gives us the courage to stand in an ever growing hostile environment. For someone to “get us” and the decisions we’ve made for our family. Do you remember the childhood game Red Rover? I was a small, skinny kid so the other team would inevitably send someone running straight for me. But in Red Rover, we hold tightly to one another’s hands. And when we stand by someone a little stronger in that moment, that bond isn’t easily broken. Even when the “opposition” runs straight for us. And so it is true with us. When we live in community with other believers (and especially believing homeschoolers), opposition to our decisions may still come—but we have someone to help withstand it. How we long for like-minded friends. Of course that doesn’t mean we don’t have friends who differ from us, who think and act and believe differently. But we need other Christians in our lives to share on a level that isn’t possible without this common bond— a spiritual bond often stronger even than blood. And what a blessing if you have both. I know some of you long for like-minded friends and just can’t seem to find them. Maybe you are new to an area. Or maybe you just haven’t found your people yet. But don’t give up hope, sweet mama. Remember community starts with you. Be honest with God about how you are feeling and what you desire. Ask Him to give you eyes to see opportunities for friendships. To bring a like-minded friend into your life. 2. Be a positive person. People tend to shy away from us when we complain and grumble all the time. Or when we speak negatively about others. But they are drawn to people who focus on the good and beautiful and positive things in life. To those who look for the best in others. But he doesn’t stop there. As the passage continues he tells the church at Philippi what that entails: to have the same attitude, the same mind, as Christ. One of humility. I know this isn’t always easy (especially for the introverts! ), but we have to be the ones to step out. Go sit by someone new or a person you’ve seen over-and-over but never talked to. Invite others to your home, or out to lunch, or for coffee. Community doesn’t just happen. We have to create it. 1. Join a homeschool group, co-op, or form one. Today you might hear it referred to as finding your tribe. It may not be easy, but it is worth it. Our tribe definitely had it’s difficulties along the way. You just can’t work together that many years and not experience conflict. But that was the beauty of it too. For the good of our children and us, we couldn’t just walk away. We had to work through it. Remember, community matures us. And if you are interested in starting a homeschool group or community, we can help. 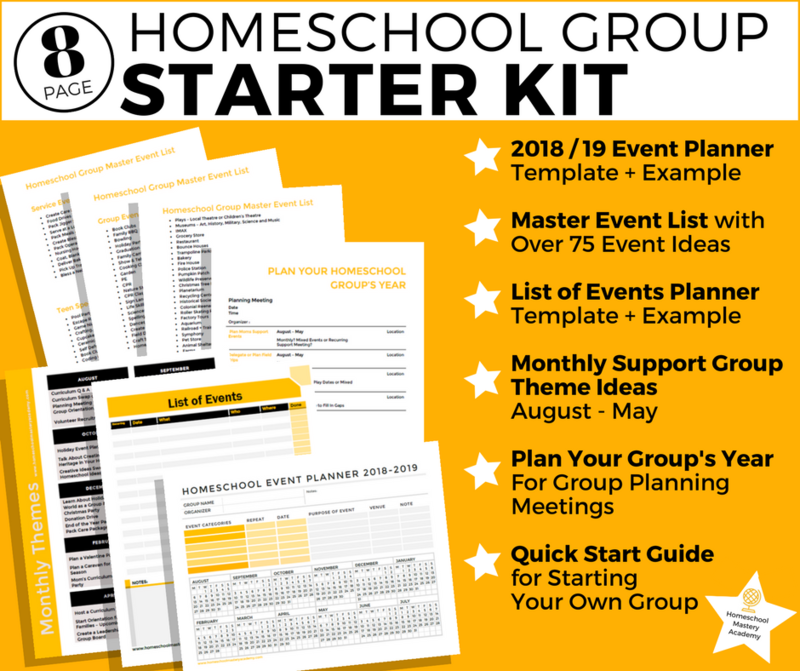 And check out our new group:“Your Virtual Homeschool Group • Resources for Building Homeschool Community“ where we both equip homeschool group leaders and provide community for those who don’t have it locally. 2. 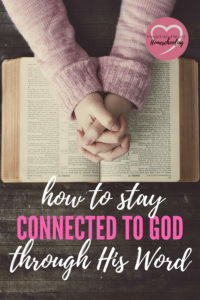 Start an in-home Bible study for homeschooling moms. That’s what we do. I have a group of ladies (though at this time they aren’t homeschoolers) that meets in my home once a week. We choose a book of the Bible and break it down into weekly reading. Each person studies it in her own way, and then we gather around my kitchen table and share what we have learned. Yes, I facilitate the study, preparing some discussion questions, but we teach one another. 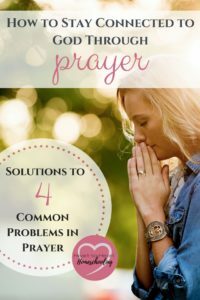 And then we share what is going on in our lives and prayer requests. Community around the Word and prayer is powerful. Your house doesn’t have to be perfectly decorated or perfectly clean. You don’t have to serve a full, from-scratch, homemade meal. The main purpose of hospitality is building relationship with others. Perfection is not required. So have game nights and movie nights. Let the whole family join in. Order pizza if you want! But invite people into your home—the place real connection happens. I hope you, my online community, have been encouraged through this “Connecting Series”. Homeschooling is incredible and wonderful and difficult all at the same time. But we don’t want to neglect our spiritual life in pursuit of our children’s education. Because homeschooling is about the whole child—heart, mind, and soul. And it is about the whole you too.